Sadly, drive-in movie theaters have mostly gone the way of malt shops and record stores. Thankfully, there are a few places around town, including the Hatch Shell on the Esplanade, the Boston Harbor Hotel, and The Shops at Prudential Center, which still show movies under the stars. Now, there is another place to catch outdoor flicks: Fenway Park. For the first time ever, the grand dame of ballparks will show a film on the huge screen above center field. Since the park erected the jumbotronish display, I&apos;ve often thought, "Hey the instant replays and shots of the crowd acting like goofballs look pretty sharp." About 40 feet tall by 100 feet wide, the high-definition screen should indeed look sharp throughout the park (although it&apos;s unlikely anybody will be sitting atop the adjacent Green Monster, unless they want to risk severe neck strain). 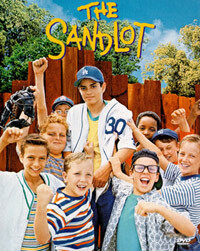 The movie, appropriately enough, will be a 20th anniversary showing of The Sandlot, a coming-of-age, baseball-centric story set in the early 1960s. Among its stars is Boston-area funny guy, Dennis Leary. Unlike the drive-in, there will be no double feature. Also unlike the drive-in, there won&apos;t be any foggy-windowed cars with coming-of-age passengers engaged in, um, America&apos;s other favorite pastime. Gates open at 7 p.m. Movie starts at 8 p.m.